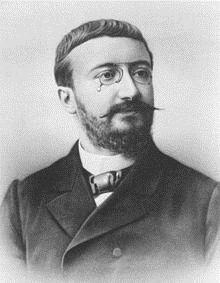 The psychologists Alfred Binet, Victor Henri and Theodore Simon dedicated 15 years of their life on development and published the Binet-Simon test in 1905 which is focused on verbal abilities. Its purpose was to identify mental retardation in children. The score on the Binet-Simon test revealed the child's mental age. It means that if a seven-year-old child passed all the tasks usually passed by the children at this age, would have e mental age that matched his chronological age 7.0. Binet noticed that there were limitations with the scale and he stressed of the diversity of intelligence so he began to study it using qualitative as opposed to quantitative measures. Henry Goddard who was also a psychologist published a translation of it in 1910. The eugenic movement in the USA uses it in a mean way to get the opportunity in diagnosing mental retardation. As a result thousands of American women (poor African Americans mostly), were forcibly sterilized based on their IQ scores often without their knowledge. Psychologist Lewis Terman at Stanford University revised the Binet-Simon scale, which turned it into the Stanford-Binet Intelligence Scale. This test became the most popular in the USA for years.